This will be a big step up from just about any TV’s speakers, but it can be too bright for music. 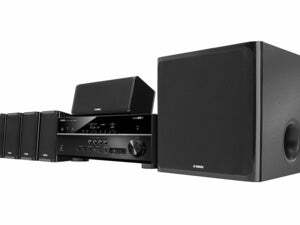 This is a 5.1-channel system with an 80-watt amplifier driving eight of Yamaha’s 1.125-inch “beam” drivers at 2.5 watts each, and a pair of 3.25-inch woofers at 30 watts each. The beam drivers are mounted in the front of the cabinet and fire directly at the audience, while the woofers are mounted on top and fire up. If you find its bass response insufficient (I’ll provide my opinion of its audio performance in a bit), you can plug a dedicated subwoofer into its RCA subwoofer jack (there is no provision for a wireless sub). 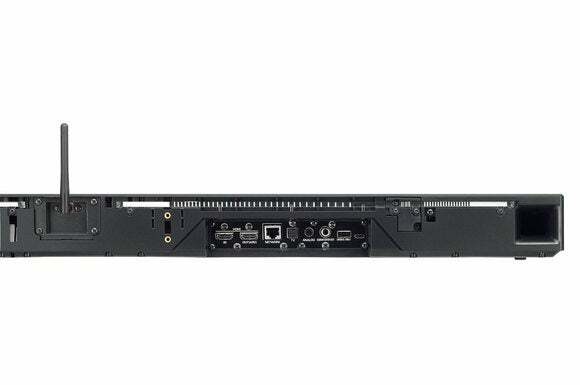 Yamaha provides a single HDMI input and one HDMI output with ARC (audio return channel) support. Having just one HDMI input is fine if your smart TV or set-top box of choice can also access a variety of video-streaming services (Netflix, Amazon Prime Video, Hulu, and so on). And if you have a cable- or satellite-TV tuner, a Roku or Amazon Fire TV, and a Blu-ray player, you could connect one of those digital-audio sources to the YSP-1600’s optical S/PDIF input. (There’s also a 1/8-inch analog stereo input if you’re in a bind.) Having just one HDMI output is likewise hunky dory as long as you don’t also want to drive a video projector. Go beyond those equipment scenarios and you’ll need an HDMI matrix switch. Unless your entertainment center is very basic, you’ll find the single HDMI in and out to be frustrating. The infrared repeater is a terrific feature, though. For my evaluation, I connected my satellite-TV tuner’s HDMI out to the YSP-1600’s HDMI input, and I connected the sound bar’s HDMI out to my Panasonic Viera smart TV’s HDMI input. ARC support in both the speaker and the TV allowed me to use the TV’s video-streaming capabilities, sending its audio bit stream back to the speaker over the same cable (in the opposite direction of the video). ARC is awesome, but it needs to be present at both ends of the signal path or it won’t work. The speaker cabinet measures 39.8 inches wide and 2.5 inches high, so it was low enough to not block the bottom of my TV screen. Until I raised its Wi-Fi antenna, that is. At that point, about 1/3 of the antenna’s three-inch length poked above the TV’s bezel (an RJ-45 connector for wired ethernet connectivity will resolve that issue if you can bring a CAT5 cable to the speaker). Yamaha smartly built an infrared repeater into the back of the cabinet (see above). If the speaker blocks the infrared receiver on the front of your TV, the repeater will regenerate any infrared signals it picks up and blast them out the back. The YSP-1600 also supports the Consumer Electronics Control (CEC) element of the HDMI spec, which enables the remote from one device to control up to 15 other devices connected to each other with HDMI cables. The 39.8-inch-wide YSP-1600 didn’t look out of place next to my 55-inch TV, and it had no problem filling my home theater with sound. Panasonic provides mounting brackets and a paper template (for marking holes in your wall) should you decide to mount the 10.4-pound speaker on your wall. Don’t forget to factor in the length of the antenna in relation to the bottom of your TV before you drill any holes. I’ve heard Yamaha’s “sound projection” technology (the YSP in the model name stands for Yamaha Sound Projector) in its higher-end sound bars, and it can be amazingly effective. But those models produced calibration test tones and came with mics that mapped your room and programmed the speaker’s DSP (digital signal processor) accordingly. They could bounce sounds off the room’s walls and ceiling to fool your brain into thinking you’re hearing true surround sound. The YSP-1600 has three listening-position presets (to the right, to the left, or dead center), but you’ll never mistake its output for discrete surround speakers. As such, it probably doesn’t matter that the YSP-1600 also can’t decode the Dolby TrueHD or DTS-HD Master Audio soundtracks on Blu-ray discs, and that it’s ignorant of the height channels (Dolby Atmos and DTS:X) on some Ultra HD Blu-ray Ultra soundtracks. 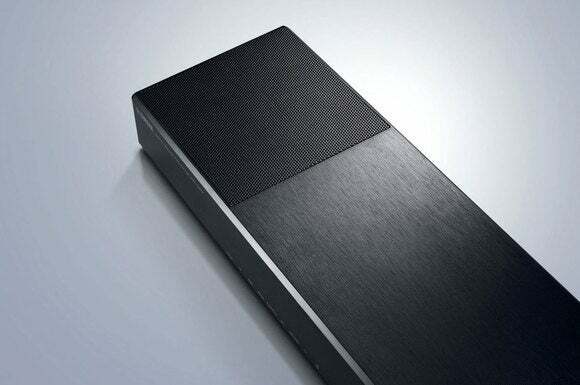 Yamaha’s sound bar can decode Dolby Digital, Dolby Pro Logic II, DTS, and LPCM. It also comes with three of Yamaha’s own DSP algorithms that you might listen to—once: Cinema DSP Movie, Cinema DSP Music, and Cinema DSP Entertainment. The 3.25-inch woofers at each end of the YSP-1600 help it sound better than the speakers you’ll find in most any TV these days. 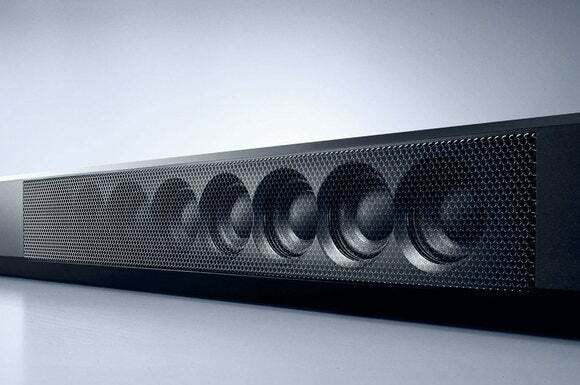 Lest we forget, we’re talking about a $500 sound bar. We can’t expect miracles from any entry-level audio system. But as a replacement for the speakers in my TV, $500 on an YSP-1600 would be money well spent, especially for watching movies and TV shows whatever the source (meaning a set-top box or a streamer). Binge-watching the post-apocalyptic science-fiction series The 100 on Netflix, the YSP-1600 did a much better job than the TV’s speakers could. Dialog was rendered much more clearly, and audio effects—particularly the low-frequency effects such as the space station’s rumbling infrastructure and the sound of thunder during planet-side storms—was much more palpable. It paled in comparison to my A/V receiver and 5.1-channel speaker setup, but it made the show much more fun to watch than when I relied solely on the TV’s anemic audio system. Musical performances on the YSP-1600 were a lot better than the TV as well, but my recommendation on this score is more reserved. First, if you’re going to listen to music on this speaker, be sure to put it in the right mode (it can’t do this on its own). Playing music while in Movie mode is an altogether unpleasant experience, and I wasn’t much more impressed when I put the speaker in Music mode. They both render vocals harsh in an effort to deliver a wider sound stage. The eight front-firing “beam drivers” on the YSP-1600 can render music a little harsh sounding. Switching to straight stereo mode sounded a lot better, but it still wasn’t great. 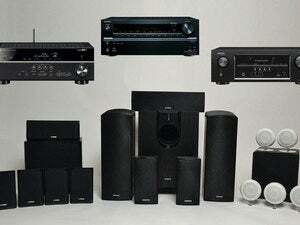 While the sound bar could fill my 13x19-foot home theater with sound, the music lacked balance. Listening to “Hello,” from Adele’s album 25 (ripped from CD and encoded as a FLAC file), the song sounded pleasant enough until about a minute into the track when she starts belting out the chorus, at which point the speaker turned shrill. Yamaha’s much smaller sister speaker, the MusicCast WX-030 (reviewed here), sounded much better with the same track—perhaps because it’s outfitted with a single tweeter where the YSP-1600 essentially has eight. 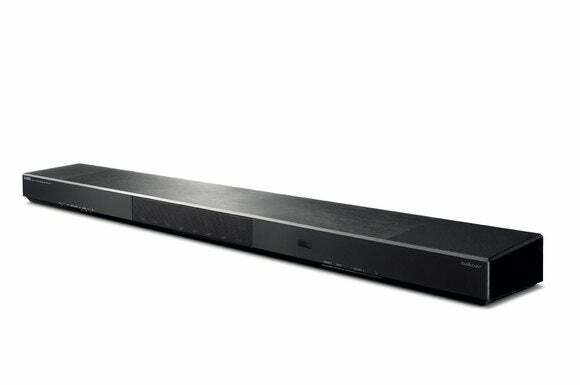 I generally like what Yamaha has wrought with its MusicCast ecosystem, and the YSP-1600 is a fine sound bar if all you’re looking for is an affordable step up from the speakers built into your TV. 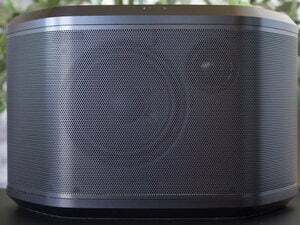 But if you’re looking for a speaker that’s great for music listening, too, I’d pass on this particular model. Yamaha’s YSP-1600 is a fine upgrade from just about any TV’s built-in speakers, but it’s not a good choice if you’re also looking for speakers for listening to music.